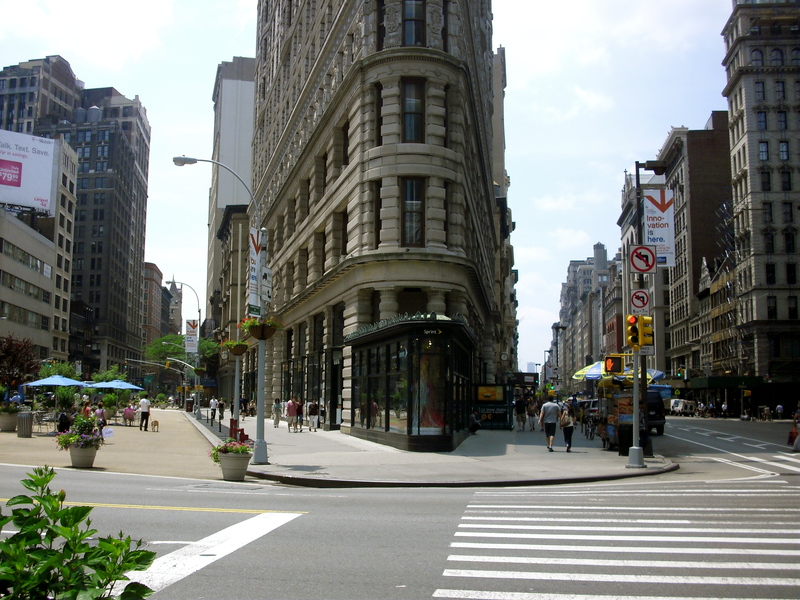 The Flatiron building is located at the intersection of Broadway, 5th Avenue, and 22nd Street. It is perfectly shaped to fit the wedge shaped intersection of these streets. It was a revolutionary building for its time and remains a symbol of the area to this day. The history of the streets that the Flatiron building sits on parallels the story of the United States in a way and demonstrates how social change and the economy have a direct effect on neighborhoods. Samuel and Mott Newhouse bought the land that the Flatiron building sits on in 1899. Their intention was to foster the development of a new business district away from Wall Street, which was even then the busiest and most popular place to do business. They chose the triangular intersection of Broadway, 5th Avenue, and 23rd streets. Harry S. Black joined forces with the Newhouse brothers in 1901 and they made plans to construct a building that would be the New York base of the George A. Fuller Company, of which Black was the head. Following this, the Flatiron building was designed by Daniel Burnham and was built in 1902, just after the turn of the century. The frame of the Flatiron building was made out of steel and the façade was made out of terracotta and limestone. It was constructed in the Beaux-Arts style, and influence of the French and Italian Renaissance is evident in its decoration. 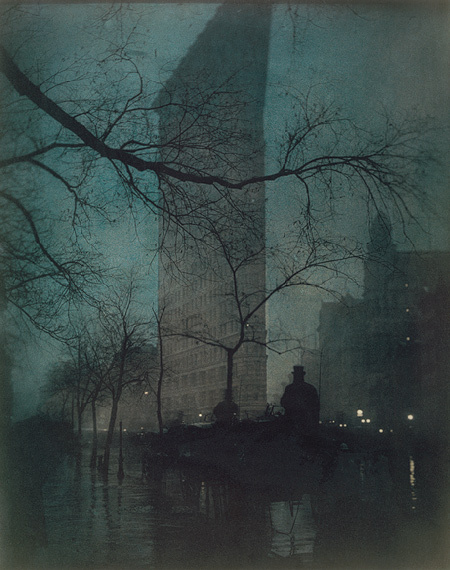 The dimensions of the Flatiron building were unlike anything the world had seen thus far. It was twenty stories high, and at the “point,” it was only six feet wide. It was not the highest building in Manhattan, but with its Beaux-Art style, it was definitely one of the most unique. There was much speculation about the stability of the building and whether or not it would be able to last. Its unique shape made people wonder if it would stand for the long term. It was commonly referred to as “Burnham’s Folly.” The building proved to be made to last, however, and it quickly became popular for its uniqueness. Although originally called the Fuller Building, it didn’t take long before it was commonly known as the Flatiron Building; it was called such for its resemblance to the household appliance. The influence of the area that would become the Flatiron District had influence beyond just fashion in the Gilded Age as well. The Old Fifth Avenue Hotel was a center of social and political life during the time. The construction of the Flatiron building greatly contributed to the growth of the neighborhood and to the expansion of the “Ladies Mile.” It wasn’t long until The New York Times deemed the neighborhood the Flatiron District. The neighborhood was also popular for the real estate market, and was known as “Midtown South.” Photographers knew it as the “Photo District”. The building became a fixture in photos of the New York City skyline during this time and was captured in a famous image by Edward Steichen. The photo depicts the day and age in a memorable and powerful way. One interesting fact about the Flatiron District is that it was during the height of its popularity in the early twentieth century that the expression, “Twenty-three skidoo!” allegedly originated. This was because of the wind that was created by the way the Flatiron Building was situated on the corner. Women’s skirts would sometimes fly up a little and men would loiter on the sidewalks in attempt to catch a glimpse of their ankles. The police officers would say to the men, “Skidoo!” to make the stop. The “twenty-three” part refers to the fact that the Flatiron was situated on. It was during this time that the Flatiron District was at the height of its popularity. It grew along with America and the district prospered along with the economy. It wasn’t long, however, until America, and the Flatiron District, got a taste of how cruel the world could be. 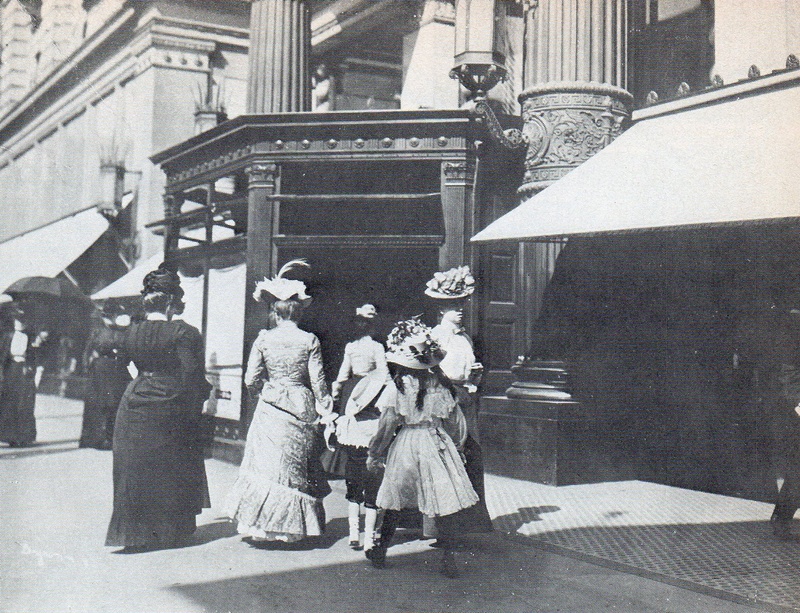 The effects of the Great War, or World War I, were definitely seen in the area surrounding the Flatiron Building and “Ladies Mile.” Many department stores just weren’t able to survive and were abandoned. The shopping hub that still existed moved uptown, along with the shoppers. The Flatiron District simply became a neighborhood that people passed through to get to Greenwich or Chelsea. This began the decline of the Flatiron District as a hotspot. It would be more than another fifty years until the neighborhood regained popularity. By the 1960s, the intersection of Broadway, Fifth Avenue and 23rd Street and the surrounding area had fallen into a seriously poor state. Many artists, however, took advantage of this and moved into the neighborhood. The neighborhood still wasn’t safe, though. The low rent prices were the main motivation for migration to the area at this time. This was, however, the beginning of the Flatiron District and the “Ladies Mile” regaining its former glory. By the 1980s, the area’s rejuvenation had officially begun. Lots of new bars, restaurants, and nightclubs began to spring up, making it one of the most happening neighborhoods in Manhattan. For example, The Old Town Bar and Restaurant that is situated on 18th St. between Broadway and Park Avenue South was unknown to most people five years ago; however, it has experienced a tenfold increase in business since 1985, according to the owner, John Sisson. Advertising agencies and other offices also migrated to the area. Shopping regained new life as well in the Flatiron District. By the 1990s, the neighborhood regained its popularity and lots of people were moving back into the area. The price of living in the Flatiron District also increased as the neighborhood became more popular. In 1991, a veterinarian named Jay Kuhlman who had lived in the neighborhood for twenty-two years told The New York Times in December of 1991 that, “Used to be, there was nowhere in this neighborhood to eat. Now there’s nowhere in the neighborhood I can afford to eat. I guess you could say it’s a mixed blessing.” At this time, the Flatiron District was still known primarily for its commercial opportunities, which created a nuisance for residents. The overall opinion conveyed in The New York Times article from December 1991 titled, “If You’re Thinking About Living in the Flatiron District…” was that the area was not worth moving to because of the nightlife that kept the residents up into the wee hours of the night. The article does however praise the district however for the constant amount of stimulation and culture it brings to the city. On the building’s one-hundredth anniversary in 2002, the series of sculptures on the roof were restored. The building today provides office space for a publishing company, and a few businesses have shops located on the street level. Its growth has expanded even from the boom of the 1990s and it is a growing hotspot for restaurants, bars, clubs, stores, etc. The Flatiron District has an interesting history that reflects the social change that took place in America over the past one hundred and fifty years. It has evolved along with America, prospering when it prospered, and struggling when it struggled. Above all, the history of the Flatiron District is a symbol of the fact that even though America may fall it always rises again. York Times 22 Dec. 1991: R5. Print. 2010. Web. 19 Jun 2011.
of the Arts, n.d. Web. 19 Jun 2011. Networks, n.d. Web. 19 Jun 2011. “The Ladies Mile.” Our Town 30 Nov. 1995, Print. “Victorian Historian.” Victorian Historian . N.p., 2001. Web. Warren, Elliot. “Flatiron Square.” Flatiron Square. N.p., 2011. Web. 19 Jun 2011. http://www.flatironsquare.com/.